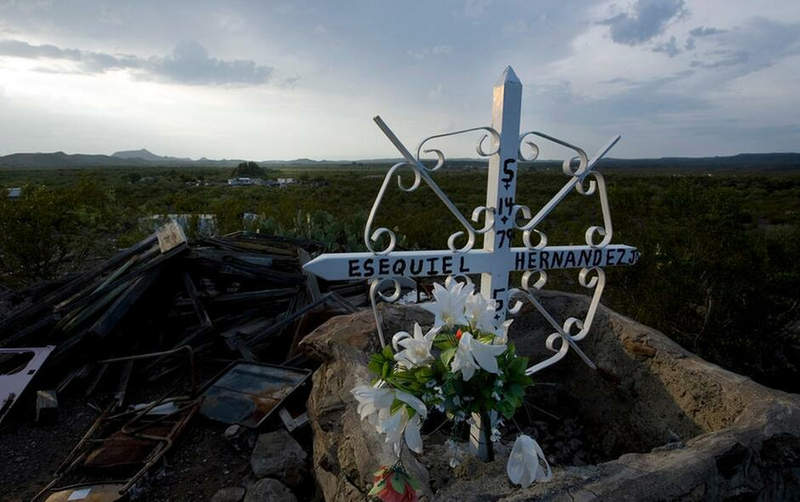 A cross honoring Esequiel Hernandez Jr. sits on the place he fell dead in Redford, Texas. 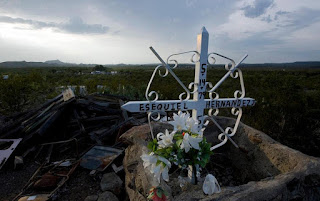 In 1997, camouflage-clad United States Marines ordered to patrol the border for drugs in West Texas shot and killed 18-year-old Hernandez while he was herding his family's goats near the tiny village of Redford, along the U.S.-Mexico border. Authorities say Hernandez had no connection to the drug trade and was an honor student. That shooting sparked anger along the border and ended the President Bill Clinton-era military presence along the border. ALBUQUERQUE, N.M. (AP) — President Donald Trump's promise to use the National Guard to secure the U.S.-Mexico border isn't a new concept and is something the U.S. has done in the past for varying reasons. Here's a look at how the U.S. has used the military and armed militias along the border: SLAVERY AND CHINESE EXCLUSION After the U.S. seized Texas and American Southwest following the U.S-Mexico War, armed militias patrolled the border looking for runaway black slaves. The traditional Underground Railroad to the north was too far for slaves to travel so thousands attempted the journey south to freedom. Soon, a guerra sorda, or cold war, developed between the nations. In the late 1800s and early 1900s, mounted watchmen who patrolled from El Paso, Texas, to California were dispatched largely to look out for Chinese immigrants trying to illegally enter the U.S. Kelly Lytle Hernandez, a University of California, Los Angeles history professor and author of "Migra! : A History of the U.S. Border Patrol," says initially there were no restrictions on Mexican immigration at the time because U.S. growers wanted a steady stream of agricultural workers.